A Calderdale headteacher welcomes the proposed changes to Ofsted’s current inspection framework after his school was chosen to test the new framework as part of a two-and-a-half day pilot inspection. Steve Evans, headteacher at Rastrick High School and former Assistant Director for Learning Services at Calderdale Council, said that the inspection was “far reaching and a significant change to the many inspections I have experienced before. He said: “The pilot encompassed a two-and-a-half day visit from five of Her Majesty’s Inspectors, focusing on the draft inspection handbook published in September 2018. “It was heavily centred on the newly developed performance criteria of quality of education, behaviour and attitudes, personal development and leadership and management, and encompassed many lessons observations, meetings with teachers, leaders and members of the support team. “The pilot also involved a great deal more interaction for inspectors with pupils than ever before, with meetings focused on behaviour, lesson quality, curriculum content, and their wider experiences of the school. 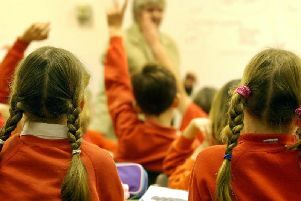 As part of the changes, the inspectorate says it wants to get to the core of education by promoting the importance of schools delivering a rich curriculum and giving less credit to schools that achieve exam success at the expense of a broad education. Rastrick High School was selected from other high-performing schools in the area that applied to take part in the trial. Mr Evans said: “The idea of volunteering for an inspection is not something that most headteachers would lean towards, but we are relentless in our approach to learning at all levels and are always aiming to develop from new experiences. “The process was hugely positive in terms of the opportunity to have detailed discussions with inspectors, in a challenging yet risk-free environment. I would encourage other school leaders to get involved in the process.